We offer Klip Dagga foliage viable seeds for growing live plants. 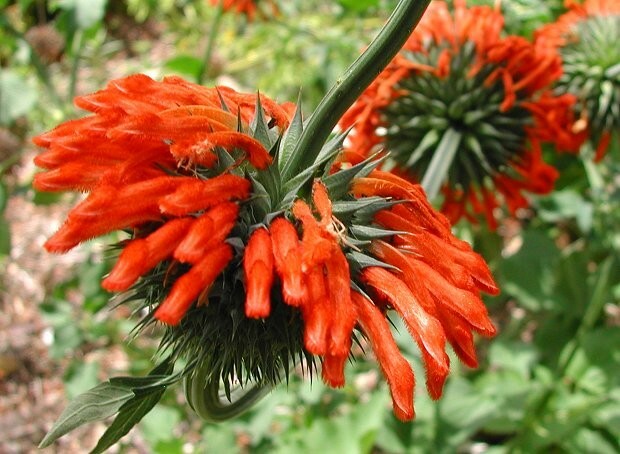 Leonotis nepetaefolia is a close relative of Wild Dagga. It is used in Caribbean folk medicine and chemical analysis of the leaves and flowers have yielded diterpenes and coumarins. Extracts of this species have shown antispasmodic effects and appear to inhibit acetylcholine and histamine. Klip Dagga is known as 'mota' in mexico. The name 'mota' is normally used to refer to cannabis which may indicate that it was used as a marijuana substitute.